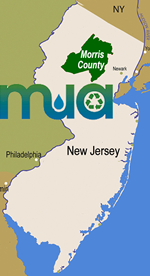 Management Issues: Regulated Medical Waste (RMW) as defined in N.J.A.C. 7:26-3A.6(a). Since this waste is RMW it cannot be collected by a normal solid waste collection company for transport and cannot be disposed of at one of the Morris County Transfer Stations.